southern orders : OKAY! LET'S GET POLTICAL! WHO CAN BE TRUSTED FOR GIVING BETTER NEWS? FOX OR CNN?????? OKAY! LET'S GET POLTICAL! WHO CAN BE TRUSTED FOR GIVING BETTER NEWS? FOX OR CNN?????? TWO VIDEOS I POST BELOW TEXT ARE PRICELESS! WHICH OF THE TWO ARE MORE ENTERTAINING?????? AFTER READING THIS TEXT, YOU'LL KNOW MY VOTE! I often flip between FOX and CNN to see how both report the "news". The two live on different planets when one watches their "news." First I should put "reporters" in quotation marks, because, especially at CNN, they really aren't reporters; they are political hacks. But with that said, FOX sure is more entertaining and delivers their version of the news with a sense of humanity and humor. CNN? Not so much, dour, take themselves too seriously and snarky! No news or entertainment value in their reporting whatsoever! This morning's news on the Mueller Report is no exception except FOX has more credibility than CNN personnel who seem to be holding back crocodile tears because the Mueller Report isn't going their ideological way. FOX gleefully shows the pitiful reporting of CNN over the last two years and yes CNN's reporting has been a joke but not funny at all. Their reporting is a scandal to say the least. At least FOX this morning interviewed about three people who are credible and should be heard. I can't remember who the first one was, but it wasn't FOX's party line. The second and third Alan Dershowitz and Lara Logan, both give fair and balanced analysis to the situation of the liberal bias in the media today. The News Division at FOX News is really quite good and I usually prefer them to CNN and MSNBC (In my experience Chris Wallace is the best American TV journalist on the air; he is the real deal—intelligent, impartial, and independent minded.) FOX’s Opinion Division, um, not so much! 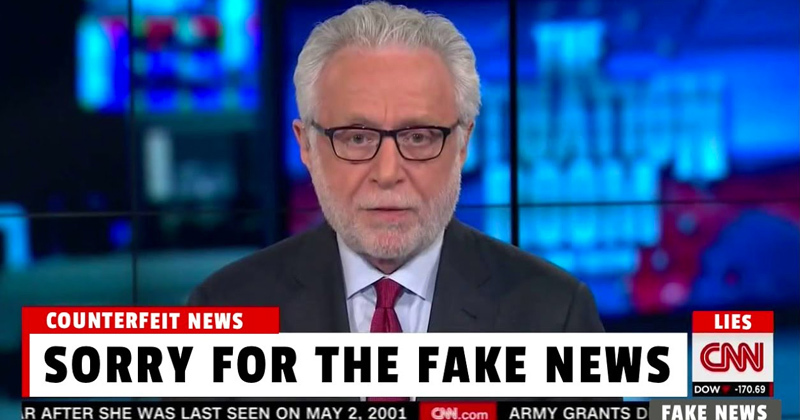 For the most part CNN is just very boring. I mostly watch BBC World News nowadays. If you want to see TV journalism at its finest check out its program Hard Talk with Stephen Sackur. As to the Mueller Report, I have every confidence that Mueller and his band of “Angry Democrats” have not been conducting a “witch hunt” but undertaking a Chris Wallace type inquiry – intelligent, impartial, and independent – just as lawyers charged with such a task are supposed to do, whatever their political affiliation. So, we should celebrate the values enshrined in the rule of law, one of the West’s greatest achievements, whichever way the Report goes. In practical operation it is certainly not always perfect but it is probably the best thing we have going for us in the secular sphere to protect us against the worse angels of our nature. There was no legal basis for the special counsel. As Alan Dershowitz has said ad infinitum, even if there was collusion, collusion is not a federal crime, and therefore there was no basis for appointing a special prosecutor. Dershowitz advocated the appointment of a bi-partisan commission to investigate what might have gone wrong. The real collusion can be found on the Democratic side of the aisle, the mendacious Clintoons, the bought and pay for fantasy dossier, the misuses of the FISA court by a politically corrupt DOJ and FBI under the Obama regime. Also for a political party fixated on foreign interference in US elections, then why was the Democratic House passing a resolution (or whatever it was supposed to be a couple of weeks ago) advocating that illegal aliens be allowed to vote in US elections. Sounds contradictory to me! I rejoice at the continuing law-offs at these corrupt "news" organizations. They earned it. My Fake News detector is always on high alert whenever I read a post by TJM because I do not trust talking points from Trump HQ. And so when I read that “the Democratic House passing a resolution (or whatever it was supposed to be a couple of weeks ago) advocating that illegal aliens be allowed to vote in US elections” it went off again loudly. This has nothing to do with partisanship. Whether we are Republicans or Democrats or (as in my case) nonpartisan, our first loyalty as Catholics should be to the truth. By the way, TJM’s link doesn’t appear to work, which may or may not be telling. TJM: In the name of the Lord, can you and I both commit to the prayer at the end of the Pope’s message? What on earth is going on with all these falsehoods? I never listen to FOX news. I heard of the Executive Order on NPR and read about it on the BBC news service. Like Trump, TJM has little connection with truth and/or facts. His motives for posting are craven and self-serving. When confronted with facts, both Trump and TJM simply turn up the volume of their own baseless assertions, ignore the proof of their errors, blame those who disagree with them of causing every evil from acne to abortion, and move on to the next false assertion. Snopes is a left-wing "fact check" organization and you know it. Here is a contrary quote from one of your party leaders which undercuts your intepretation of the "news"
"House Democrats voted Friday to defend localities that allow illegal immigrants to vote in their elections, turning back a GOP attempt to discourage the practice. “We are prepared to open up the political process and let all of the people come in,” Rep. John Lewis, a Georgia Democrat and hero of the civil rights movement, told colleagues as he led opposition to the GOP measure." So the Dems are setting the table to allow illegal aliens to vote in federal elections, a practice which is occurring right now in some Dem controlled municipalities. If the illegal aliens are permitted to vote in local elections, what is to stop them from voting in federal elections? A special voting card? Ya, right. I find it strange you did not attack my first post. Maybe because I mentioned liberal saint Alan Dershowitz who was opposed to the Mueller fishing expedition which has left Rachel Maddow and Chris Matthews stark raving mad? There was one HUGE benefit to the Mueller investigation. The facts which are finally emerging show an Obama DOJ and FBI functioning as a campaign division for the Dems - thoroughly corrupt behavior and likely felonies. These facts would likely have not surfaced if Hillary Clinton and the National Media could had accepted the results of the election. I recall that weeks before the election it was Hillary who was demanding that Trump accept the results of the election. Did you forget that? A priest who votes for the Dem Party should be preparing for a hot time in eternity. "The facts which are finally emerging show an Obama DOJ and FBI functioning as a campaign division for the Dems - thoroughly corrupt behavior and likely felonies." And yet, no "facts" are presented to support this assertion. "There was no legal basis for the special counsel." Yes, there was and is. "§ 600.1 Grounds for appointing a Special Counsel. ref. LII Electronic Code of Federal Regulations (e-CFR) Title 28. Judicial Administration Chapter VI. OFFICES OF INDEPENDENT COUNSEL, DEPARTMENT OF JUSTICE Part 600. GENERAL POWERS OF SPECIAL COUNSEL Section 600.1. Grounds for appointing a Special Counsel. "the Acting Attorney General, will appoint a Special Counsel when he or she determines that criminal investigation of a person." Dershowitz' point was that since collusion in the context of an election is not a crime, there was no basis to invoke the statute and appoint a special prosecutor. It stuns me that Jeff Sessions got hoodwinked. The facts show that Comey was instrumental in getting a special prosecutor appointed and I suspect his legal worries are far from over, particularly because he lied to Congress. Now that the Mueller nothingburger has caused the usual suspects to go stark raving mad, I think the real work will now began on the culprits on the other side of the aisle! Here is another article amplifying why you shouldn't play lawyer. It lays out in considerable detail why this special prosecutor should not have been appointed and why the investigative team Mueller assembled was inherently flawed. "According to its authorizing document, which was signed by Deputy Attorney General Rod Rosenstein on May 17, 2017, the investigation included any possible links or coordination between Donald Trump's presidential campaign and the Russian government as well as "any matters that arose or may arise directly from the investigation." The investigation was not limited to "collusion." Non-US citizens may not contribute to US elections. "An individual who is not a citizen of the United States or a national of the United States and has not been lawfully admitted to the U.S. for permanent residence, as defined in 8 U.S.C. § 1101(a)(20); or 2.A foreign principal, as defined in 22 U.S.C. § 611(b)." "Campaigns may not solicit or accept contributions from foreign nationals. Federal law prohibits contributions, donations, expenditures and disbursements solicited, directed, received or made directly or indirectly by or from foreign nationals in connection with any election — federal, state or local. This prohibition includes contributions or donations made to political committees and building funds and to make electioneering communications. Furthermore, it is a violation of federal law to knowingly provide substantial assistance in the making, acceptance or receipt of contributions or donations in connection with federal and nonfederal elections to a political committee, or for the purchase or construction of an office building. This prohibition includes, but is not limited to, acting as a conduit or intermediary for foreign national contributions and donations." Apparently those responsible for authorizing the investigation did not agree with you. And TJM should act as the lawyer he claims to be. It is impossible to converse with him because we are engaged in two very different types of conversation. I am trying to have a legal conversation or a conversation informed by “legal values” of impartiality and independence as I (and I assume TJM, based on his claims to be an international lawyer with an LL.M in the top 1% of his profession, etc.) have been trained to do. But he always seems more interested in having a very different type of conversation—an aggressively partisan political conversation—in which he engages in distraction, deflection, and demonizing. The spin about the conclusions of the Mueller report has already begun—on both sides. And this, without paying careful attention to the language used in Attorney-General Barr’s letter to Congress and without having the full report available. We expect such nonsense from partisans on both sides and, dreadfully, from the media (CNN being among the worst for this) but we should not expect it from lawyers. No decent lawyer would participate in this spin. Let’s see what TJM does. Even though I have several good answers to his Alan Dershowitz point, his Snopes point, and on and on, I will not air them here because it will just encourage him and I refuse to play his partisan game. When he is willing to have a proper conversation that seeks to establish facts and truth, I will participate. Moreover, as I have repeatedly stated, he will have more credibility with me when he answers my question about voting and abortion that he continues to refuse to do. A2/Bean, quit trying to play the 'holier than thou' 'attempting to have a discussion' game. It is wearing thin. Why not just post under additional pseudonyms, and converse with yourself?